Dr. Quinta Warren, P.E. is the Founder and CEO of EngrRC. She holds a Chemical Engineering PhD from the Georgia Institute of Technology, and a Chemical Engineering Bachelors from Penn State University. She is a registered Professional Engineer in Texas. In her distinguished career, Dr. Warren has worked for the US Department of Energy as a AAAS Fellow, participating in international policy around power generation. She worked for ConocoPhillips as a reservoir engineer characterizing resources in both mature and new fields in South Texas; researching innovative and economic solutions for recovery of heavy oil in the Canadian oil sands; developing novel methods and compounds for CO2 capture in refining; and inventing a method of predicting crystallization in protein solutions through thermodynamic measurements. She has led an asset development team through a depletion planning exercise. She led a team through an A&D exercise leading to successful divestiture of the asset. Dr. Warren holds a patent for a CO2 Solvent Loading System (Patent 20130136681). She has numerous publications and presentations. 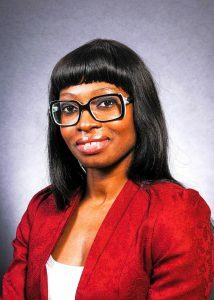 She is currently Director of Professional Education for the Dakar American University of Science and Technology in Senegal. She recently published A Practical Guide to Oil & Gas Resource Characterization For Geologists and Reservoir Engineers which is available on Amazon. Q. Nwanosike, A.Sambanis, R. Rousseau, Effect of divalent cations and solubilizers in apoferritin and gammaD-crystallin solutions: nucleation, crystallization and light scattering studies, Ph.D. Dissertation, 2009. Q. Nwanosike, A. Zydney, The Effect of Electrostatic Interactions on Protein Retention during Virus Filtration, Undergraduate Honors Thesis, 2005. © 2016-2018 Engineering Research Consulting. All rights reserved.